Aren’t kitty paws so cute?! So little and pink! And they’re attached to your cat who will probably swat at you if you dare lay a finger on their paws. Of course, we just want to fawn over how adorable our snuggly felines are, the cutest little beings in the world, but they may not be willing to share their paws. Who can blame them? Their paws are extremely sensitive, and our hands and feet would be too if we used them to check temperature, groom our hair, hunt for food, and communicate with other humans. Some adorable kitty “bean” toes! Their paws are designed to help them jump, run, climb, and pounce, they have four toes on their back paws, and five toes on their front paws. Have you ever wondered why one toe happens to be closer to their wrists than the others? It’s there so your cat can grasp objects (like toys or birds) similar to their humans! 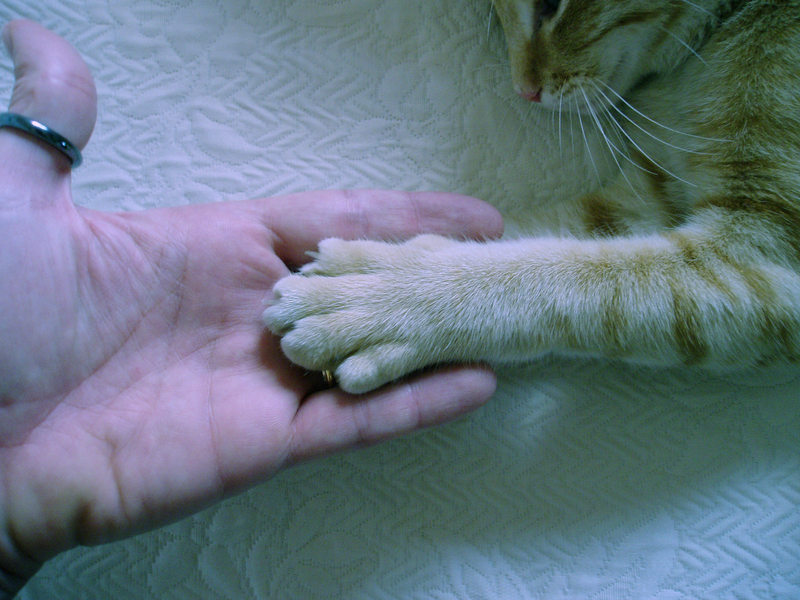 Not only do cats have thumbs, but their paws are also the most sensitive part of their bodies. But there are more aspects to your cat’s paws that help with survival, grooming, and more that are important for any cat owner to know. Just as humans are left or right handed, our cats are too! However, in cats, this difference is because of their gender. In female cats, their dominate front paw is their left, and for males, their dominate paw is their right. Similar to dogs, cat’s only sweat through their paws. Like the skin on our bodies, our cat’s paws act as a cooling system to our body, the only difference is their body area is much smaller than ours. Like humans, out cat’s toes have individual and unique paw prints, and similar to our fingerprints. Even twin kittens will not have identical paw prints. Your cat’s paws are very flexible. Their front paws can bend inward so they can dig their claws into whatever they’re climbing to stable themselves. But when it comes to climbing down from cat trees, bookshelves, or branches, cats can have some problems because their front paws are designed to be used for walking normally or for an upward climb. 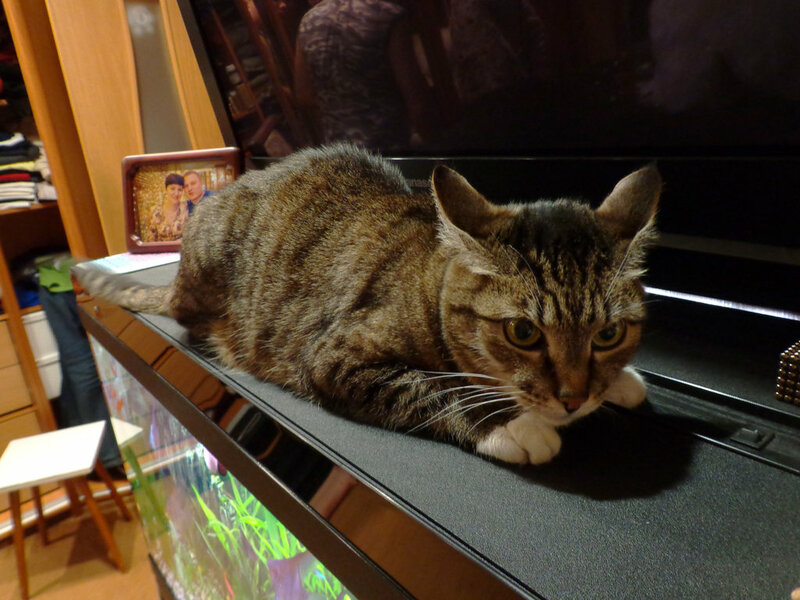 Climbing down is more difficult for cats than what people often think. Kitty claws are clearly not designed to help them climb down. Remember the shocks on your car? They’re what absorb the impact from speed bumps, potholes, and the rough roads we drive on the make the drive more comfortable. Our cat’s paws act the same way! This is why our cats can jump from (and sometimes fall from) great heights and they will often be unharmed. Like their whiskers that allow them to spread their scent as markers for their territory, cats do the same with their paws. 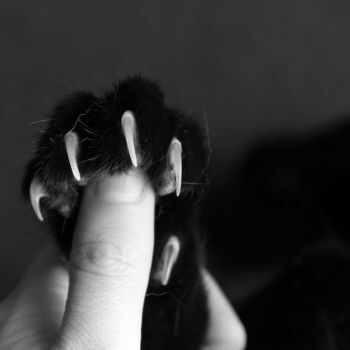 When you cat scratch objects, they often do so to become sovereigns of that object and give information such as gender to other cats through the pheromones that are spread through their paws from their scent gland which is found between your cat’s toes. Not all cats have pink paws. Some cats have spotted, tan, or black colored paws. The color of their fur is related to the color of their skin and also the color of their paws. For instance, my Calico, Missues, has pink, light tan, and brown spotted paws, Fredrick Douglass has what I refer to as magenta colored paws, and Mr. Baby Kitty is a Bombay, therefore he has naturally black paws. These adorable paws could have gray, black, or pink toes! 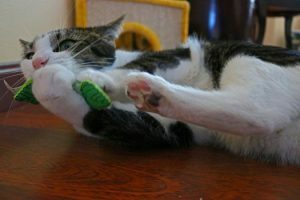 Our cats will sometimes need help to take care of their paws. Let’s briefly go over a vital truth that should be known to all cat owners. 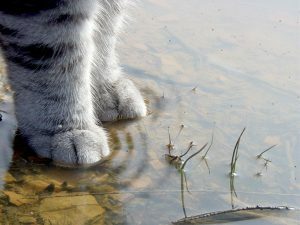 Your cat’s paws should always be clean; there is no excuse for this! 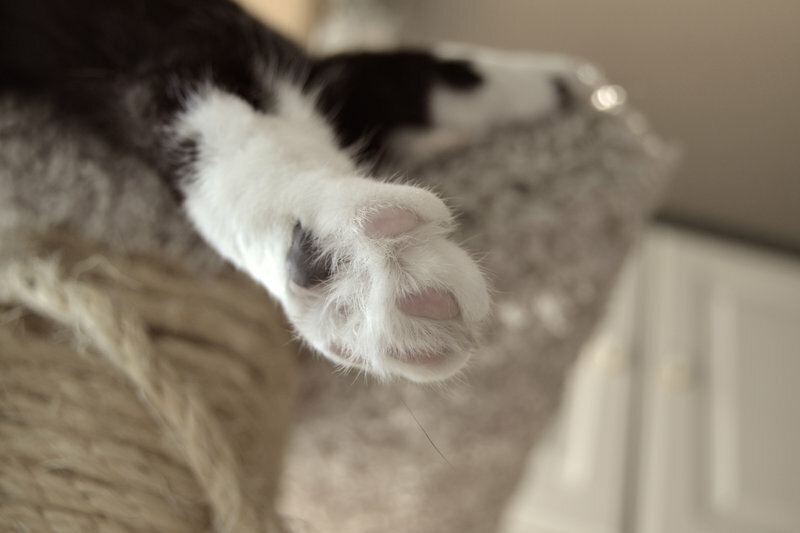 Dirty feet can be painful to your cat, and unhealthy substances can stick to their paws or in-between their toes that can end up being ingested when they groom themselves. So if you have a little messy kitty, wipe your cat’s paws with a wet cloth or kitty wipe regularly. Here are some other tips you can practice to help your cat maintain clean and healthy paws. Check for thorns, splinters, or cuts that are on your cat’s paws that can cause discomfort or infections. If there is swelling and you can’t see what could have caused it, you cat could have been bitten by an ant or stepped on a bee. In this case, take your cat your veterinarian right away. Keep cat trees around your home so your cat can regularly scratch and shed their outer nail sheathe to allow for healthier nail growth. Sometimes our cats need their nails trimmed. I’m opposed to having your cat declawed. It takes away their ability to survive on their own and also puts them in a serious amount of pain for a long time. So if you decide to trim your cat’s nails, make sure to massage their paws before you begin so your cat will adjust to your touch and the pressure of your fingertips. Always use cat nail cutters that are made for just cats, not human nail trimmers. ONLY cut off the white tip of their nails and stay away from the vein (mostly called the quick) that runs into the nail. If you hit the quick, serious bleeding can occur. Then give your cat a treat, because your cat deserves it. If you have concerns about trimming their nails yourself, take them to the vet or a groomer so a professional can trim them for you. 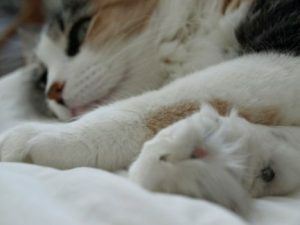 If you have a long-haired cat, make sure to check their hairy little feet. Sometimes cats have long hair growing between their toes, and this can irritate their paws, tickle them, and it may cause your cat to excessively lick their paws in order to flatten the hair. It is also good to keep this area clear and clean so clumped up cat litter doesn’t tangle in their furry paws. Hairy toes are no good! We can’t always keep an eye on our cats and we trust them to think and sometimes think before stepping onto cool, hot and wet surfaces. Anything wet may not be water, it could be a cleaning solution or leftover cooking oil on the kitchen counter. If you have an electric stove top, train your kitty to stay off the kitchen counters, and if you happen to use hair styling tools keep your cat away from those too. If you live in an area that snows during the winter, the temperature can numb your cat’s paws. In either hot or cold weather, moisturize them with a lukewarm washcloth to avoid numbing from their paws touching cold patios, or burning from hot sidewalks. If you don’t want your cat to scratch you, you can always put on Nail Caps. They’ve become increasingly more popular among cat owners and cat fanatics around the world. Some disagree with this practice, finding it restrictive to your cat’s natural nature and other find it useful to avoid scratches and some just find it cute. Regardless of the reason you’d want to use them, the Nail Caps are vinyl and are safe for your cat. To put them on you do have to trim the tip of your cat’s claw and place a small dot of the adhesive (that will come with your package of nail caps) into the cap before pressing it onto your cat’s claw. 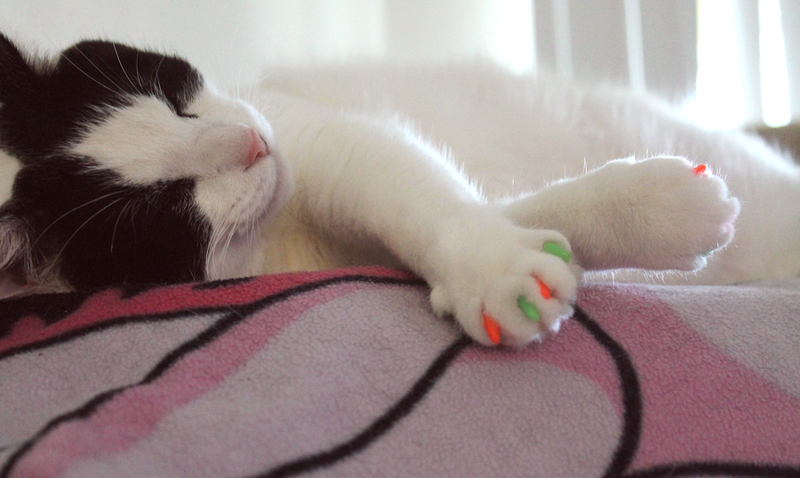 Each nail cap lasts for about four to six weeks until your cat’s claws will be ready to shed with the natural growth of your cat’s nail and will probably fall over naturally. Make sure to check the nail caps weekly in order to check on your cat’s claw growth. Not to mention that nail caps will also protect guests that come into your home and your furniture. A fashion statement and a protective measure all in one! 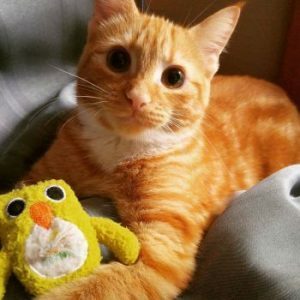 Get boots or paw protectors for your kitty if they have damaged or sensitive paws when the hot and cold weather comes around. 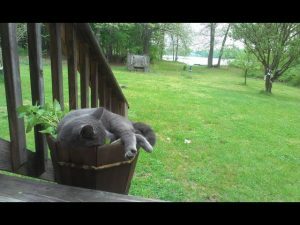 This information should help keep your cats happy and healthy, as well as expand your knowledge of your beloved feline. We can never know too much about those we love! Is it stressful for you (or Fido) when you’re away from home for a few hours? Does leaving for work or school in the morning leave Max nervously pacing and whining? Does coming home at the end of the day to shredded bedding or the kitchen trash strewn everywhere leave you exasperated and ready to quit your job? 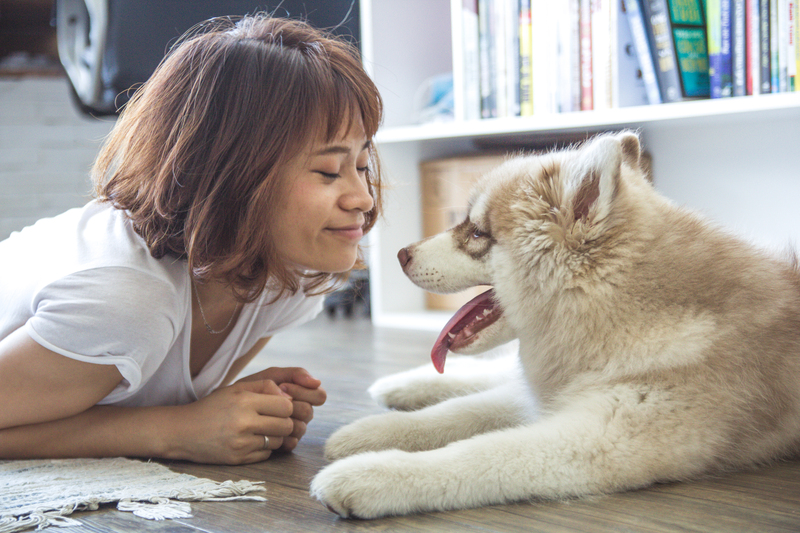 Whether you’re feeling overwhelming guilt about leaving your best friend alone during the day, or if your furry companion has separation anxiety, there are ways to help you both get through the day stress-free. Here are some tips and tricks for making your time apart peaceful, enjoyable, and positive – for both of you! Set up your dog for success. The old adage is so true – a tired dog is a good dog! Leave time in your morning routine to take him for a long walk or a run. Give him a chance to explore, sniff, play, and get out his energy. 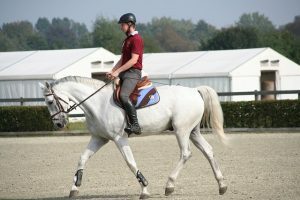 Does he still have a load of energy after some exercise? Purchase a dog backpack and stock the sides with canned goods, dried beans, or a handful of rocks. Strap in on your pup and have him wear it on your morning walk or run. (Of course, check with your veterinarian first to be sure that your dog can handle the load.) 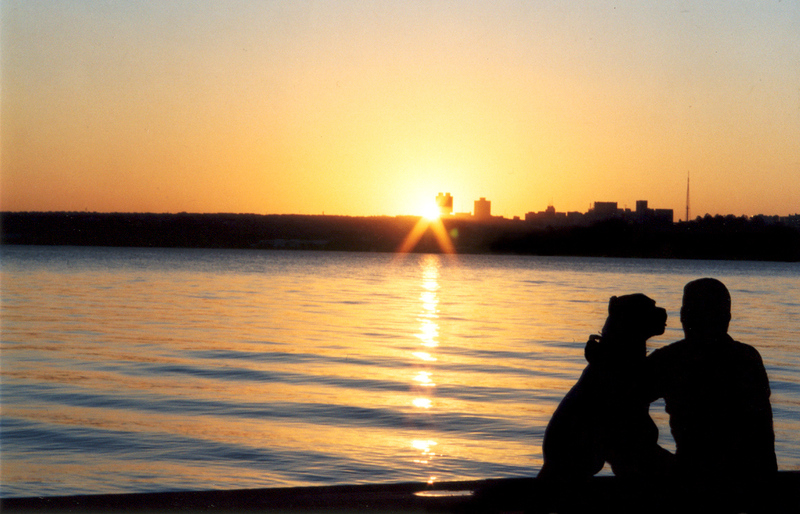 Bonus – by carving out time in your morning for tiring out your dog, you’ll work some exercise into your day, too! Give him a good meal. Make one space in your home your dog’s “room.” Use the same words each time you leave – “Time to go to your room!” or something similar – and shower him with praise when he follows your command. Great choices for a dog’s room include a spare bedroom or a kitchen with dog gates. (My dog chose her own space – the bathroom! We think she liked the cold tile floor.) In his room, set up a crate with a blanket or bedsheet over the top and leave the door open. A dark and quiet hide-out can be incredibly calming to a nervous dog. Get to know your pet’s less-than-desirable habits, and ensure that you’ve got your bases covered. Do you have a shredder on your hands? Confine your dog to the kitchen to spare your couch or that brand-new duvet on your bed. Does he rip apart his own bed? 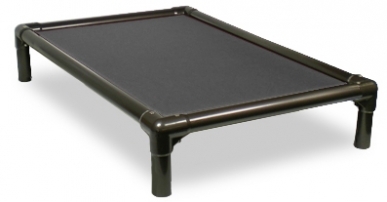 Choose a super-cozy orthopedic Kuranda bed instead of a fluffy bed. Used in animal shelters across the country, Kuranda beds are sturdy, easy to clean and they provide a comfortable place for a dog to rest. (Purchase directly from Kuranda and support your local rescue group at the same time! It’s a no-brainer.) Do you have a reactionary barker? Select a room that is away from street-facing windows to avoid this behavior! And, just about any dog will think the trash or last night’s take out containers to be a treasure just waiting to be discovered. 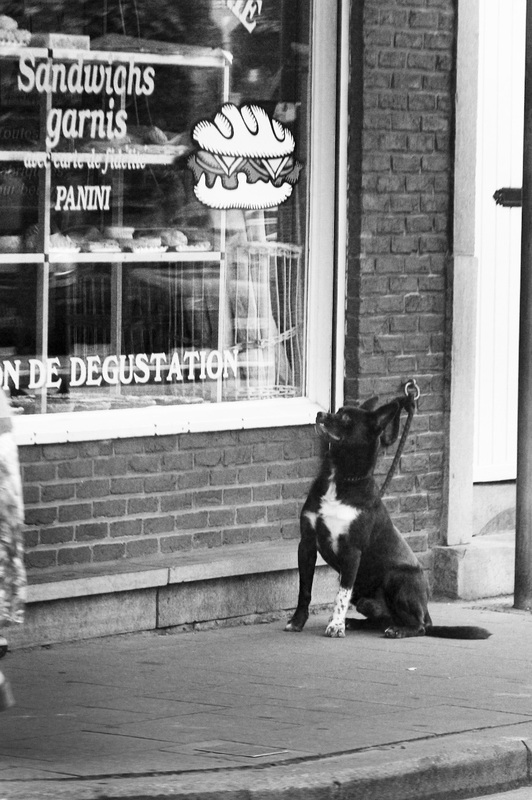 Use child locks to keep your trash (and your dog) safe and keep your counters cleared of any tempting treats. An example of a Kuranda bed. Finally, remove your dog’s collar. By taking his collar off, you’re preventing him from getting it caught on something during the day. Horror stories of tags getting caught between crate wires will haunt any dog owner. It’s always better to be overly cautious. This being said, make sure your pet is microchipped and their collar is put back on as soon as you get home. If they somehow get lose, their collar, tags, and microchip could save their lives. What could be more delicious to a pup? Place a few pieces of kibble, small training treats, or even frozen peas into each slot of an ice cube tray. Fill up the tray with low-sodium canned or homemade bone broth. Freeze and give your pup a few as you exit. Experiment with different sizes and shapes. Silicone trays are a fun and inexpensive option. By leaving your dog with frozen treats, you’re not only his hero, but you’re ensuring that there’s nothing dangerous left behind to get lodged in his throat. 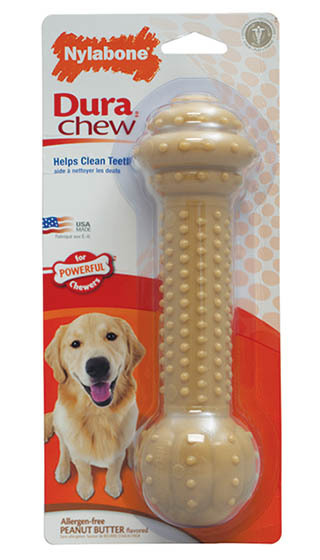 These durable, hard rubber toys provide hours and hours of chewing enjoyment. Even better, they’re hollow! 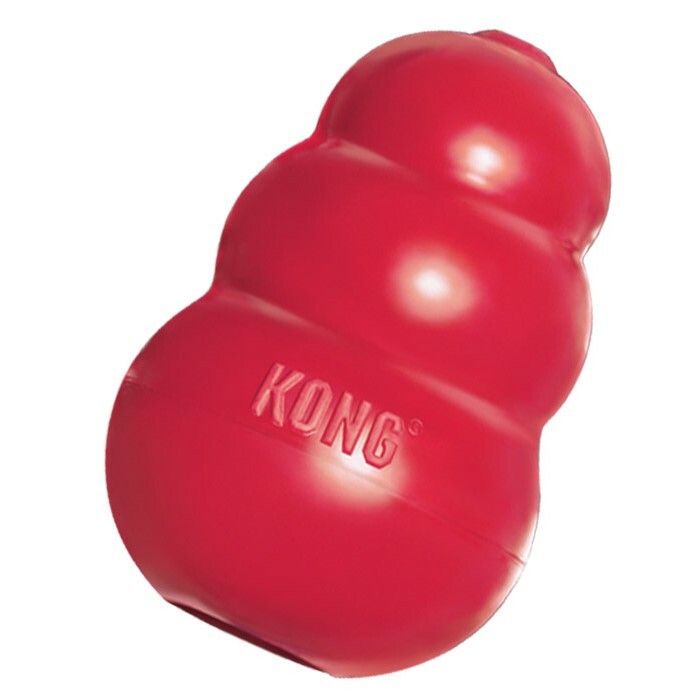 Fill the inside of a Kong with a handful of kibble or desirable treats and stuff it with natural (no added sugar or xylitol) peanut butter. Freeze overnight. This irresistible treat will last and last while you’re running errands or off at work. Kong toys are nearly indestructible! Have a hardware store nearby? Maybe a Habitat for Humanity Re-Store? Ask them to cut you a few different sized lengths of PVC pipe. 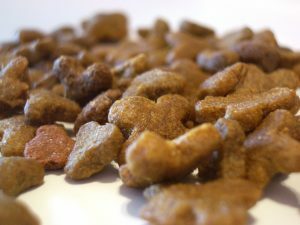 Drill small holes here and there along the length of the pipes and put all sorts of interesting and smelly things inside – even things that you might not want your pup to eat. A favorite in my area’s animal shelter is rabbit poop! Once filled, seal up the pipe with PVC end caps. Curious noses will love to explore the scents and roll the pipe all over the house. 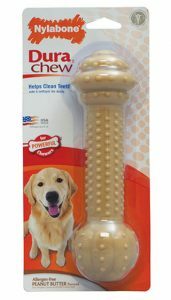 Purchase a ready assortment of strong and durable chew toys. Try to leave your dog with things that won’t break apart or present a danger if shredded. (Those squeaky toys are fun – but are a better choice when someone’s at home to supervise.) Nylabones are a great option. The bones come in all sorts of shapes, textures, and scents. A great alternative to natural bones that can splinter and injure your dog. Choose a local radio station, or hop online and stream music from Spotify or Pandora. Hey, even do something as old-fashioned as playing a CD! Keep the volume low. Studies have shown that music is highly soothing and provides stress relief and results in lower cortisol levels in pets. Finally, remember that your dog can be just like a small child and get easily bored with the same toys. Keep a box of toys out of reach and change up his options each day. Make it a calm, yet positive homecoming. You’re excited to return and your pup is so excited to see you. Do your best to keep your emotions in check and make your return home calm. If you have a jumper, avoid a full greeting until he’s stopped. 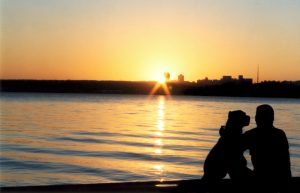 The calmer you are with coming and going, the less anxiety your dog will have going forward. 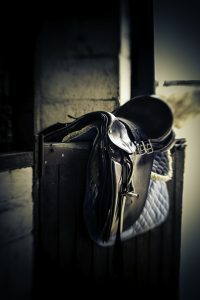 If something has gone wrong during your absence – an accident on the floor, a shredded pillow or some strewn trash – learn from it and understand that no matter what, at the end of the day, he’s still an animal. Disciplining your dog after the fact won’t serve any purpose other than to make him feel nervous when you come home in the future. Next time you head out, keep the pillows out of reach, keep the trash locked up, and be sure he’s had an ample opportunity to do his business outside. We all wish we could be with our dogs 24/7, but it just can’t be the case. With positive separations and reward-based reinforcement, you and your pup will feel better about your time apart and value your time together even more. They will always be your furry BFF. Finally, remember that doggie daycare at Your Pet Space is a wonderful option for most pups. Your dog will have a fun day with this best friends, and he’ll come home happy, healthy, and will most likely want to spend the rest of the evening relaxing. Like humans, when cats experience anxiety, it can range from being as serious as having a panic attack or as minor as simple nervousness. Anxiety affects humans on a greater level than what we may be aware of; the same goes for your cat. Let’s address what anxiety is: some believe that it is only a feeling (such as worry, apprehension, fearfulness, perturbation, angst, or tension) that can come and go. In reality, anxiety is a mental health disorder. Despite how some may challenge this idea, it’s a fact. And it’s extremely common, with more than three million cases in the United States per year. As explained above, it is a disorder which is characterized by stress, fear, and worry that is strong enough to interrupt with daily activities. These same feelings can show in your cat and it will affect their ability to live life to their fullest. This little kitty is not a happy camper. The trick about anxiety is that it is not always easy to find the cause of it. It’s hard enough to diagnose in humans, so trying to diagnose it with our pets can be a challenge for veterinarians and behavior specialists. Anxiety can be caused by extremes such as physical and verbal abuse, or by seemingly small things like moving to a new home, separation from their humans, or another addition to the household. A tool that pet owners can use to detect the cause of anxiety is the called the HISS test. Your cat’s Health is the first thing to look at: emotional, physical, and mental. 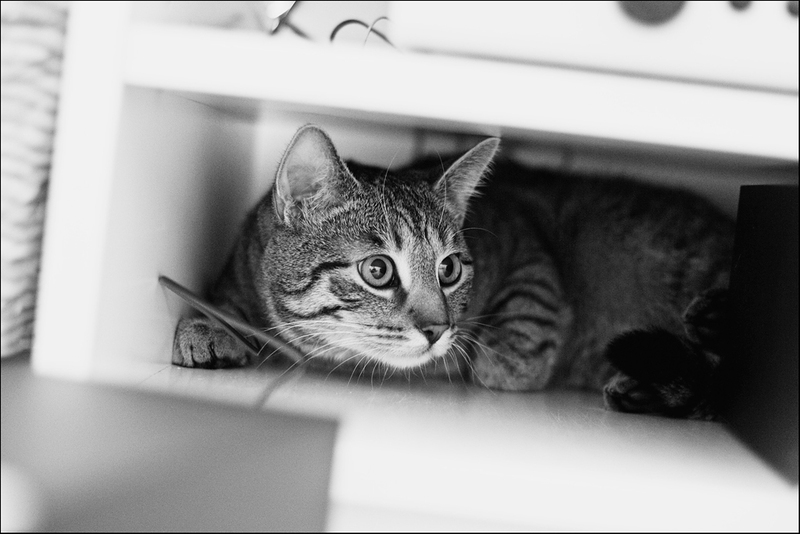 Your cat may be exhibiting anxious behavior when they aren’t feeling well, but this anxious behavior may not be easy to recognize because cats express their anxiousness through seemingly normal behavior. Grooming, urination, attempting to defecate, and meowing are all normal behaviors, but if your cat is suffering from anxiety, these behaviors will be excessive. Your cat’s Instincts are almost always present. The term “curiosity killed the cat” makes much more sense now because cat breeds were literally picked with selective breeding to pass on something that has been named the “caution gene”. This cat is definitely being very cautious. Stress. I cannot emphasize enough how important it is to realize how stress affects our lives, and it plagues our cat’s ability to live happily because it’s one of the many causes of anxiety. 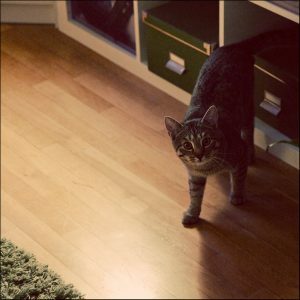 Your cat’s personality will be the main factor of how they deal with stress, but some of the triggers that can affect your cat can include their living conditions, if they have to compete with other cats for affection and love, the changing of climates (especially if you happen to live in the northern hemisphere), and if your cat feels like they have their resources needed to survive like food, water, and a clean cat box. And lastly look for your cat’s Symptoms in order to recognize signs and solutions that can be made. Watch for hiding, because a happy confident cat will find solace in high spots such as cat trees and book shelves. 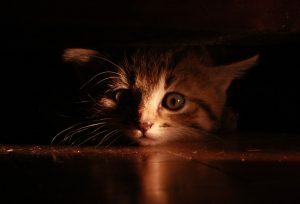 But a cat that is suffering from anxiety will hide very close to the ground like under beds, inside boxes, behind furniture, and inside closets. Anxious cats will urinate and sometimes defecate outside of their cat boxes, even if it happens to be completely clean. And if your cat starts meowing more often, if it becomes louder, or if they begin crying during odd hours, they are probably signaling to you that they are feeling anxious. 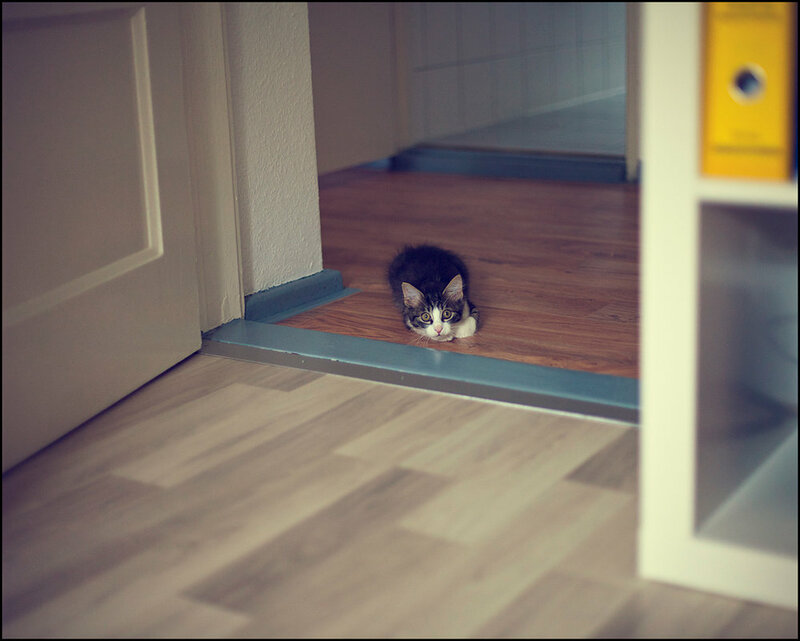 This cat tucked himself away in a corner, showing that he’s anxious about something. Separation Anxiety is when your cat becomes agitated, stressed, or fearful when they feel like they will be torn from or left by their humans. Again, each cat has an individual personality which makes them more or less responsive to anxiety. For instance our oldest cat, Missues, has the worst separation anxiety out of our three cats. My parents gave her to me when I was eight-years-old and, on every family vacation, she would be our traveling kitty companion. Although most cats don’t do well when they travel, Missues was a champ and she enjoyed the car rides with the windows down while she sat on a pile of blankets smelling the different scents that filled the car. But as she and I both got older, we stopped taking her on trips. I moved out of my parent’s house and took her with me to our new home, but I didn’t take her on trips with me. Unfortunately, this resulted in very bad anxiety for her. During a month long road trip from New Mexico to New Hampshire, our cat sitter watched Missues, Mr. Baby Kitty, and Fredrick Douglass. However, when we got home, we found that Missues seemed to not have moved from our bed much. She probably missed us and found comfort in our scent coming from the pillows, but we noticed the strong scent of urine. After we bathed her and removed the sheets, we found a deep yellow stain on the mattress that seemed to have spread a bit but was very concentrated. We believe Missues urinated on herself due to the anxiety of us being gone for so long. Her most recent anxiety attack happened after she peed on my backpack. My husband placed her in the bathroom to sleep in overnight so she wouldn’t cause any more trouble. Shortly after he put her in the bathroom, I entered to clean her up but found her puking on the floor. The next morning, there was more vomit from her dinner the night before. 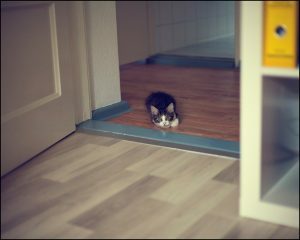 Our cats, especially those who are VERY close to us, will more than likely become extremely anxious when left alone for either long or short periods of time. Phobias, however, are when a cat’s anxiety is triggered by something very specific. 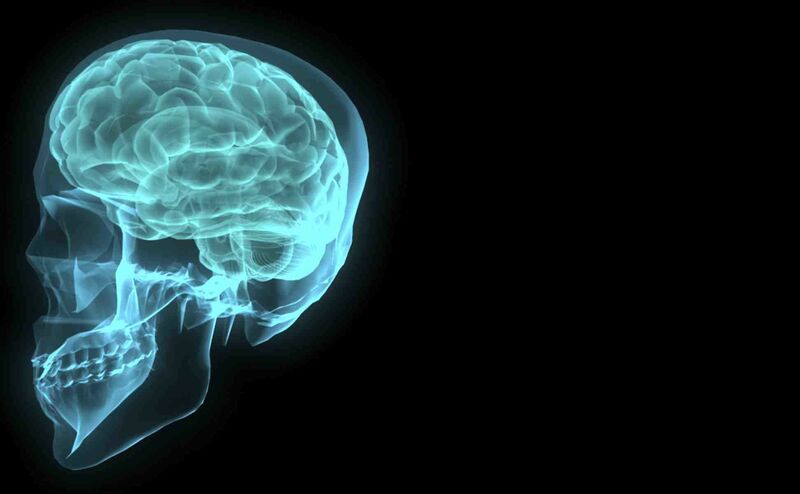 This is advanced trauma triggers symptoms that look a lot like PTSD in humans. Phobias are excessive and persistent fear of a negative stimulus. Once a traumatizing event has been experienced, anything familiar to it or the memory of it can generate a response. Some examples can be fireworks setting off, owners yelling or hitting their cats, or being attacked by another cat or larger animal. Slowly get close to the ground, approach your cat gently and make yourself look less aggressive. Hopefully, your cat will be willing to come to you. Pet your cat softly, letting your cat smell you first, and keep the tone of your voice soothing. Do not pick up your cat. Watch for your cat’s responses to external stimuli to identify what may cause any more anxious behavior. Repeat these steps the next time your cat has an episode. Knowing how to soothe your cat correctly can help you make monumental strides forward in the long run. You can help your cat by talking with your veterinarian to rule out medical complications. If your cat doesn’t do well with being separated from you, prepare your cat with small absences of your time and affection. Even if you are home with them, this space will help them become more comfortable with your silence and separation. Keep your arrivals and departures very low-key and relaxed as to keep them calm as well. Keep safe toys out for your cat to play with, especially while you are not home. 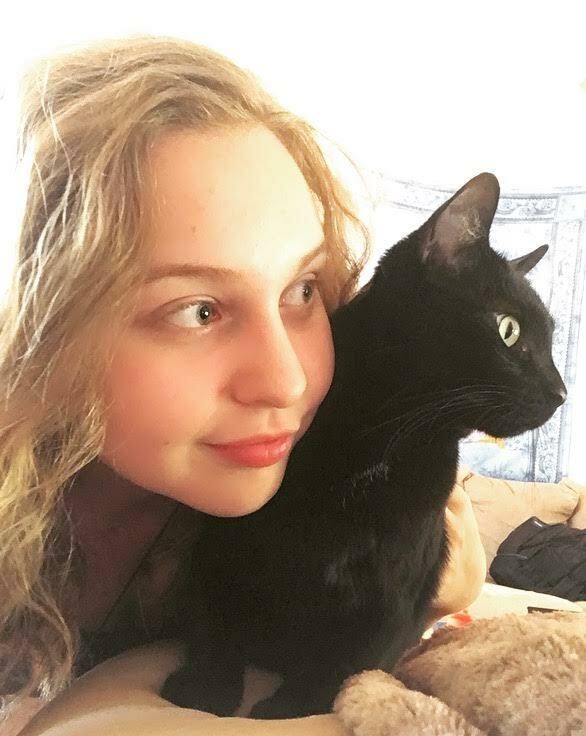 Find a committed, kind and sympathetic cat sitter; your cat sitter should engage in feeding, petting, and playing with your cat twice a day, and some sitters will even stay the nights with your cat to provide more regular interaction while you’re on a trip. 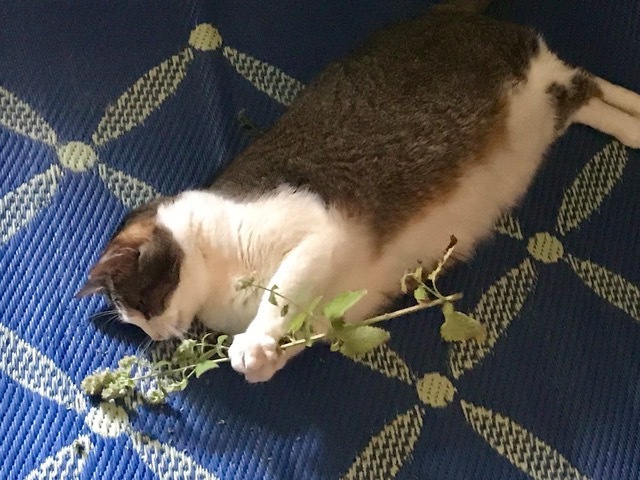 Use catnip to help your cat de-stress and relax. 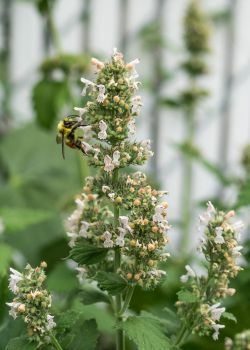 The herb valerian will also help your cat relax, but too much of it will make your cat sleepy so it is important not to expose your cat to too much. Other scents you can use for your cat’s relaxation and reduce stress are chamomile, Bach’s Rescue Remedy, and hops. 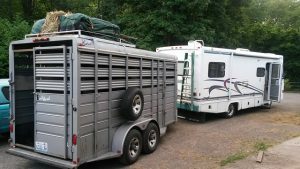 You and your pet had a great summer. Many days were spent at the park, the beach, or camping in the wilderness. It has now come to an end and fall and winter are on their way. You’ve put away the camping gear and brought out your winter clothes. But what can you do for your pet? 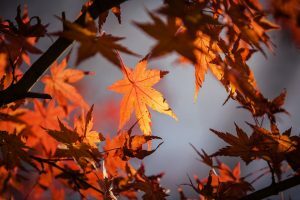 How can you prepare them for the change of seasons that are on the way? Read below to find out. This kitty sure seems to be enjoying the cool weather and the colorful leaves. Both dogs and cats can react strongly to changes in weather patterns. Many animals are sensitive to barometric pressure (the pressure of the earth’s atmosphere). If a storm is on the way and you have a sensitive pet, provide a safe place for them to hide. Put them in a kennel or crate in a quiet area of the house so they don’t panic and run away or injure themselves. 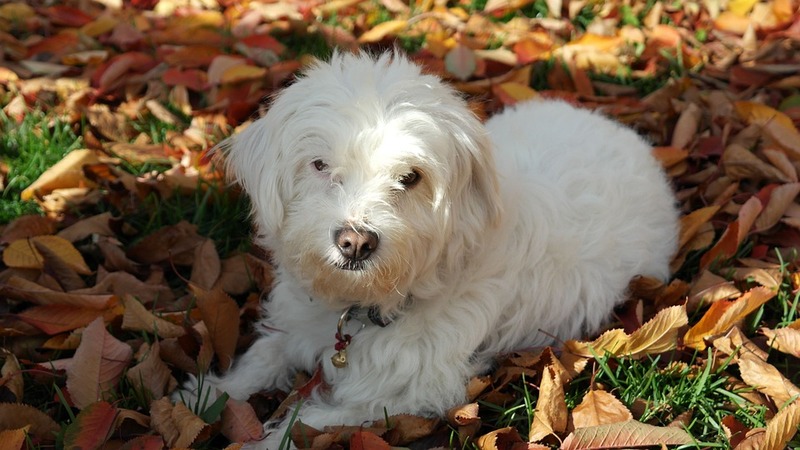 Your pet’s appetite may change during fall and wintertime. 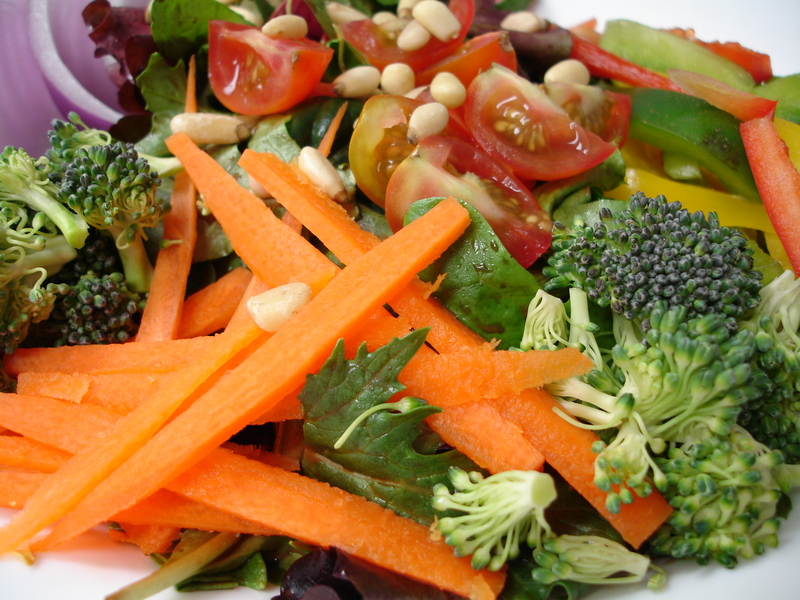 Dogs and cats often eat less during the summer months and increase their food intake during the colder months. When it is hot and humid outside, they may not feel like eating. During winter, the change in temperature and activity level may increase their appetite as an attempt to keep them warm. The below is quoted from a research abstract on ScienceDaily.com. You can read the full article here: Cats Found to Eat More in Winter. This little guy seems to have lots of energy to play in these cooler months! 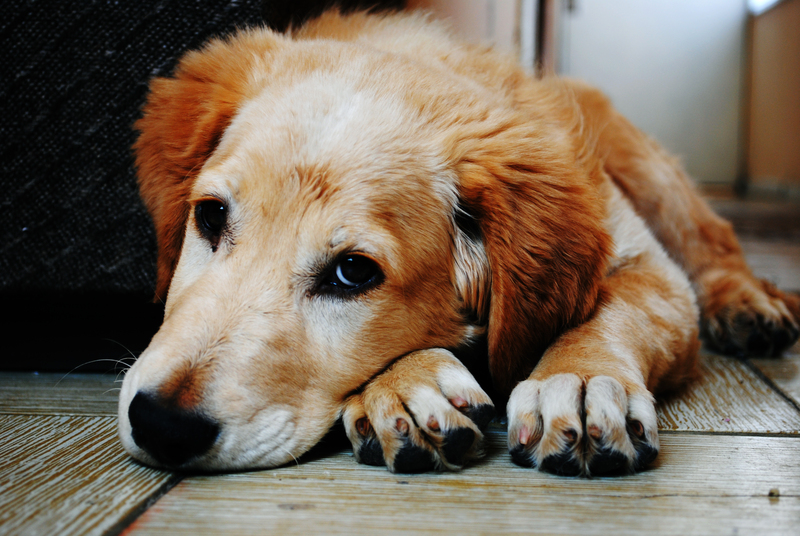 It is also possible that your pet has an illness that is affecting their appetite, rather than the change in weather. If they are losing weight and don’t seem to be feeling well, you may want to take them to your veterinarian for a checkup. The issue could be a bad tooth that is causing pain when they eat, kidney or liver disease causing nausea, an infection, or even cancer. 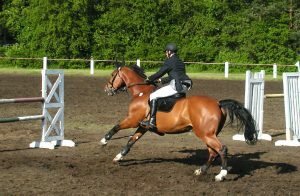 To be prepared for any health issues that may befall your much-loved, four-legged family member during their lifetime, be sure to purchase pet insurance. For $30-$70 per month, you can assure that you will be able to provide any medical care that they may need in the event of an unexpected illness or accident. If you feel like snuggling up in a warm blanket, your pet most likely does too. And when you bundle up to go outdoors because it is bitter cold and windy, bundle up your pet. 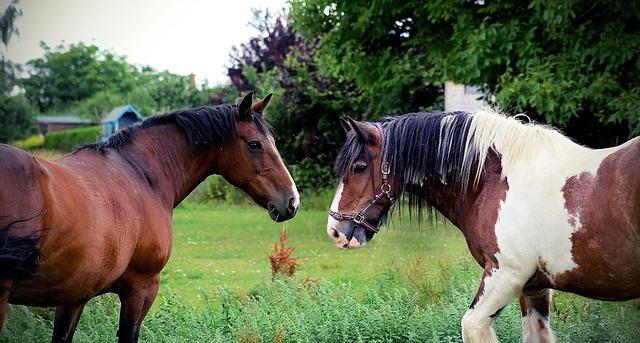 Unless they have a full, dense winter coat, they will be more comfortable with an extra layer on just like you are. A fleece pet sweater will help them enjoy going outside and help maintain their body temperature. 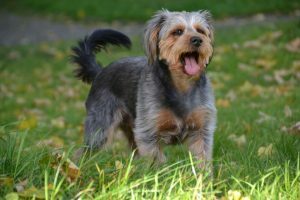 This article on VetStreet.com describes why some dog breeds do need to have sweaters or coats put on them during colder months: Do Any Dogs Really Need Sweaters or Coats? In addition to giving them a warm, comfortable place to be during the day such as a well-insulated dog house with blankets, outdoor dogs (and cats) should be brought indoors at night. 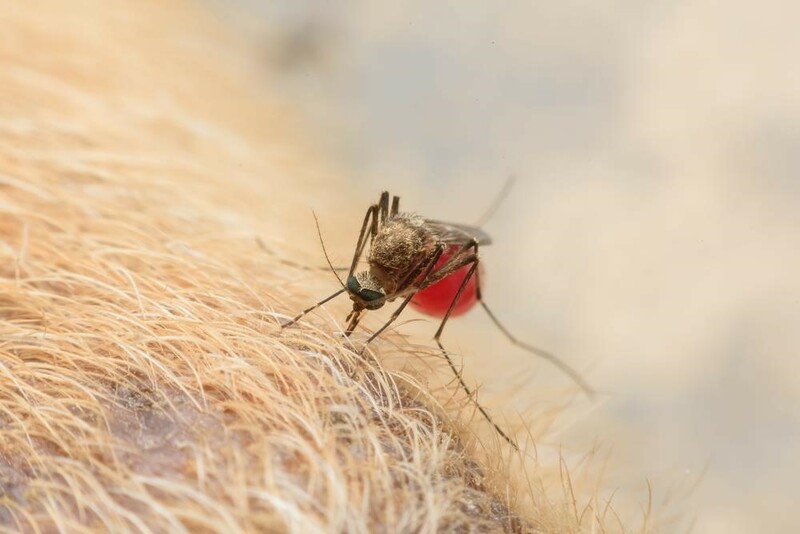 Icy cold weather with five inches of rainfall does not necessarily eradicate all pests in the environment such as fleas and ticks. 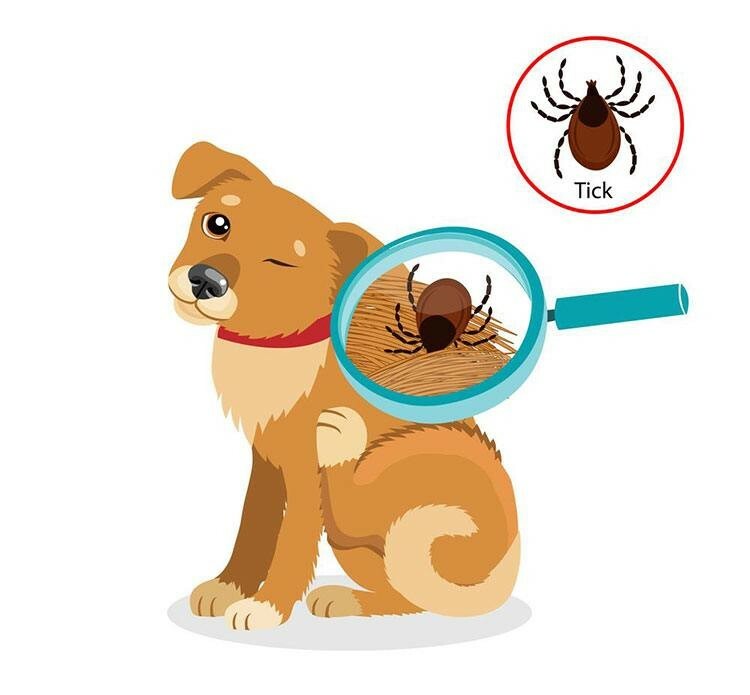 There may be not as many around to jump onto your dog or cat and take up residence in their skin and fur, but they can still be present and can infect your pet. Don’t start slacking on the flea and tick preventative during these months! There may be fewer bugs around, but they are never completely gone. Piles of leaves are great places for these nasty critters to hide and wait for their next meal. During the wintertime, some adults can experience mild to moderate depression. Called “Seasonal Affective Disorder,” it is believed that less hours of sunlight during the day lead to biochemical changes in the body that affect mood and behavior. You may become lethargic, unmotivated, have changes in appetite, and feel a lack of pleasure when doing things you used to enjoy. If this happens to you, it may affect your pet as well. When you start lounging on the couch for hours on end instead of getting outside and doing things you normally do, your pet will notice the change in routine. This may cause them to experience a change in their normal behavior, too. In other words, they may start acting a little depressed. Take care of yourself so you can take even better care of your pets. You deserve the best, and they do too! 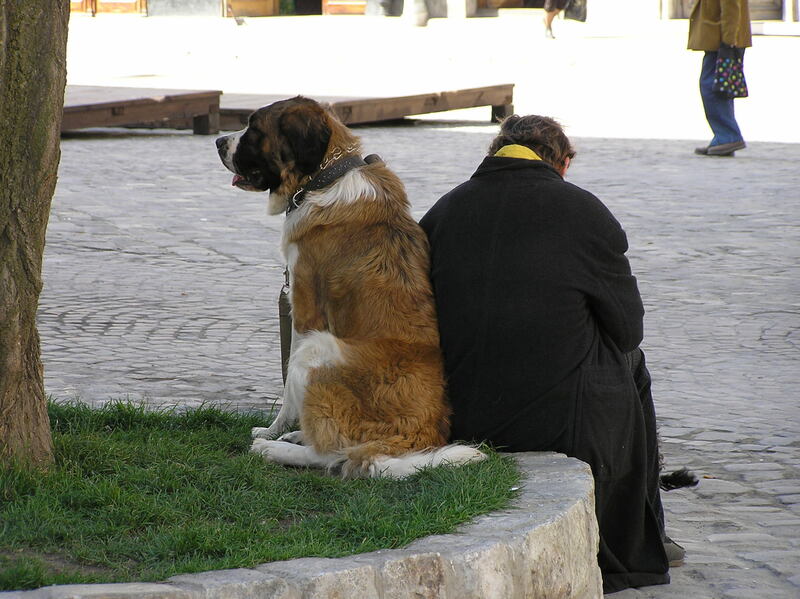 You can learn more here: Can Dogs Get Depressed? 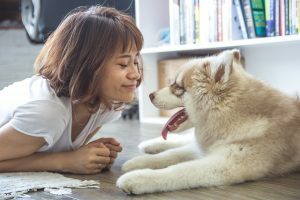 To keep your pets happy even when you may not be, try to stick to a routine that they can count on and make sure to express affection like you normally do. That may boost your spirits a bit as well. Look forward to spring when both of you will most likely be back to your normal selves. 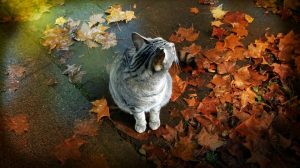 Above are some basic tips on how to prepare your pet for the cooler months beginning in September-October and lasting until May-June. You may need to increase their daily food intake and take extra care so they can stay warm and comfortable. Your daily patterns may change (fewer days at the local dog park and less time spent outdoors) but try to keep as consistent a routine as possible. The best advice is to simply enjoy your pet. Lots of love and affection will help them adjust to changes in weather patterns at any time during the year. 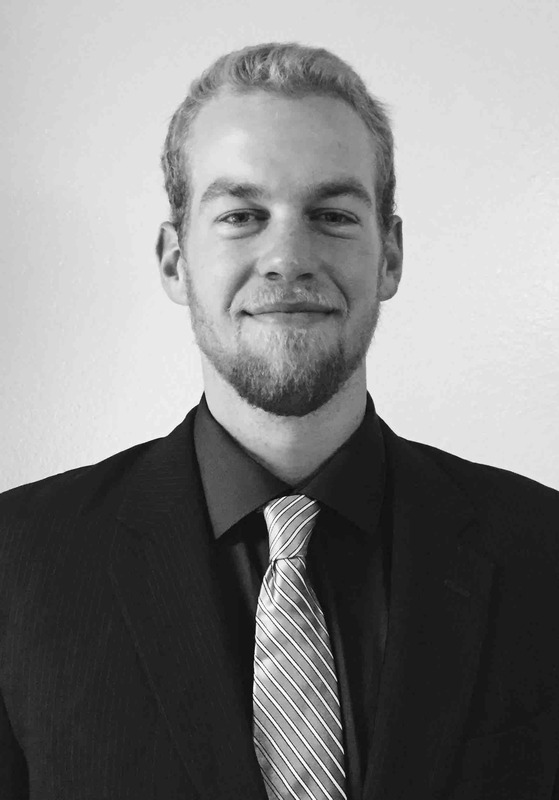 Jayson Goetz is a writer from Phoenix, Arizona who loves pets! He is a proud owner of a beautiful puppy and wants to share the joy of pet ownership with others. He hopes to encourage people to keep their pets happy and healthy year-round. Even if you are one of the best dog owners, trimming your dog’s nails is one of those things that you can easily fall behind on. 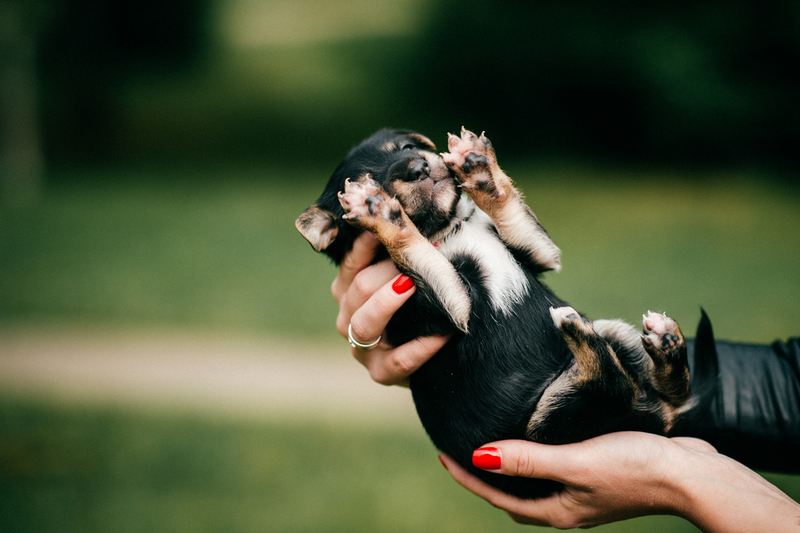 Since most dogs have nails that tend to grow fast like weeds, you will need to clip your dog’s nails regularly to keep up with the pace at which his nails are growing. Many people tend to think that they don’t need to do anything if their dog’s nails aren’t curling around. You don’t have to wait for your dog’s nails to scratch your skin while he jumps on you to know that they need to be trimmed. Although it might seem like both you and your dog don’t want to deal with a nail trim, for the sake of your dog, clip those nails regularly to keep them short. An example of beautifully short nails. You may think that you can’t trim your dog’s nails due to a of lack of experience or the fear of over-cutting the nails. Well, that is something to be concerned about because you don’t want to hurt your dog’s nails to the point that they start bleeding. In the unfortunate event that your dog’s nails start bleeding while you are trimming them, you should learn how to stop your dog’s nails from bleeding to prevent excessive blood loss. Doing so will save your dog’s life. The rule of thumb is: if you can’t trim your dog’s nails at home, it is good to seek professional assistance so that you don’t get the whole process wrong. Seeking professional help will also minimize the chances of doing the trial and error method on your dog’s precious nails. 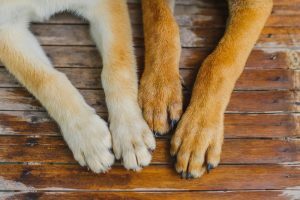 You might ask yourself, “How often is often enough?” There are some important factors that will affect how often your dog’s nails should get trimmed. These factors include: the type of surface that your dog walks on most of the time, your dog’s breed, and their diet. Is your dog mostly indoors and just walking on your soft carpet? Does he only go outdoors within your compound to walk on the soft grass and dirt? Do you walk him in the streets on concrete surfaces? If your dog is always active and walks on hard surfaces, then he will need less frequent nail clipping sessions. This is because the hard surfaces will be grinding down on his nails. His nails won’t grow as fast or be very long. 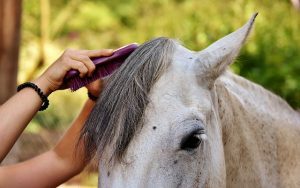 However, if your dog is mostly indoors or if he spends most of his time walking on soft surfaces like grass and dirt, he will most likely require more trims. Your dog’s breed will also determine how frequently you will be trimming his nails. 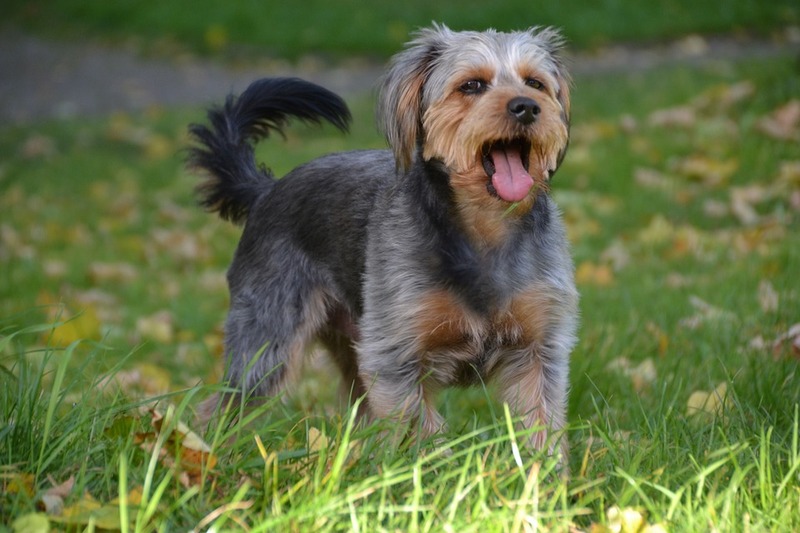 Some dog breeds have nails that will grow at very fast rates as compared to other dog breeds. Thick, black nails are some of the hardest kinds to trim. Don’t be afraid to ask for help! 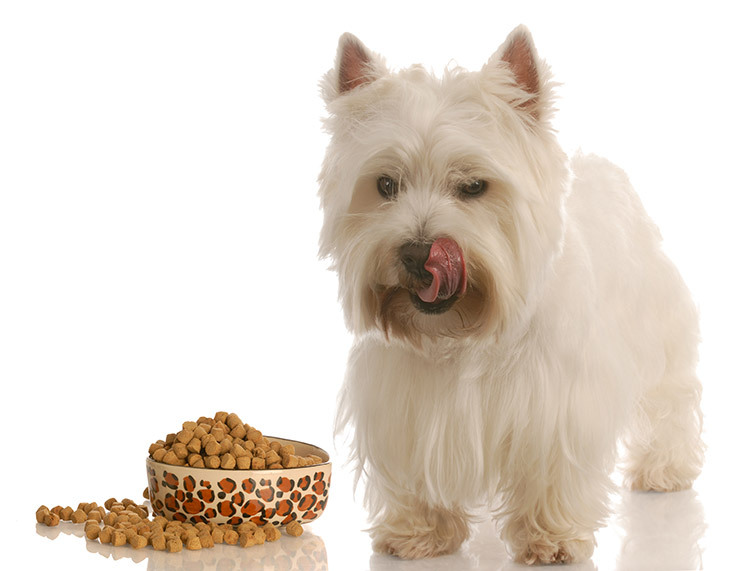 Your dog’s diet also affects the rate at which his nails will be growing. 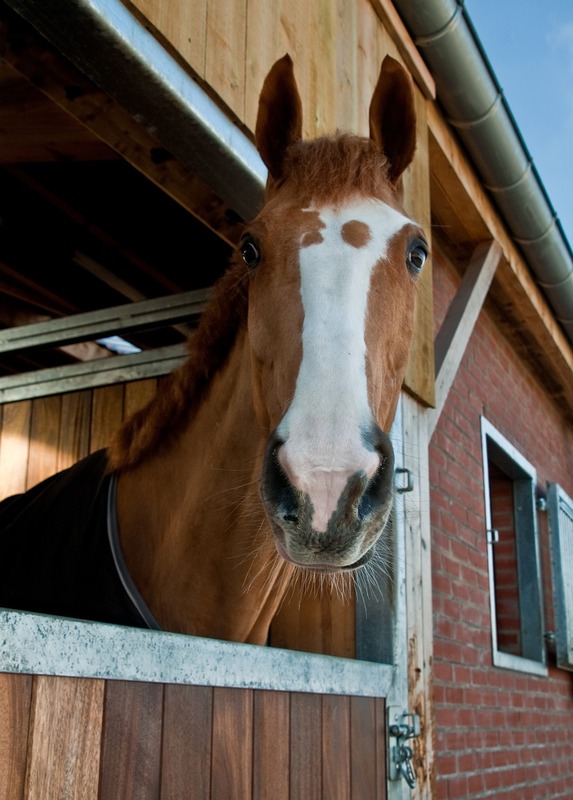 If you feed him a well-balanced diet that is full of minerals and vitamins, his nails will grow very fast. Keep in mind that this should never be an excuse for not feeding your dog on a well-balanced meal. When it comes to how often you should trim your dog’s nails, you should be able to clip your pooch’s nails as often as possible so that his nails do not touch the ground when he is standing. If you clip your dog’s nails more often, there will be great benefits for both you and the dog. The more you will do it, the more your dog will become accustomed to having his nails clipped. If your dog becomes used to having his nails trimmed, you or the person that will be doing the clipping will have an easier time doing the nails. The length of your dog’s nails determines how comfortable they will be while they are walking. 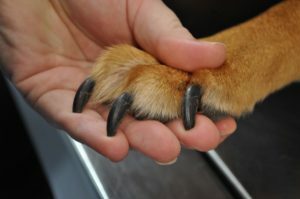 If your dog’s nails are too long, they will touch the ground while your dog is standing. If you let your dog’s nails overgrow, you will not only have to deal with a cosmetic issue, you will also have to deal with a potentially serious health issue. 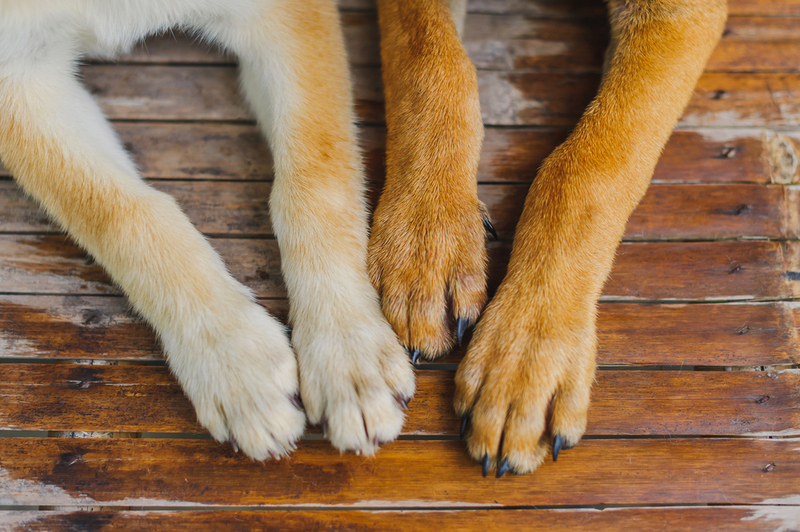 These pretty paws need to stay healthy to keep the whole dog healthy! Dogs usually walk on their toes. This is called digitigrade walking. When their nails grow to be very long, the nails will curve and dig painfully into the pads of their paws. They will, therefore, have difficulty in walking on their toes because of the pain. 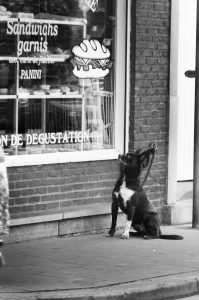 Your dog will then rest his weight further back on his paw to compensate for this difficulty in walking. The result of this change will cause an awkward posture while walking. 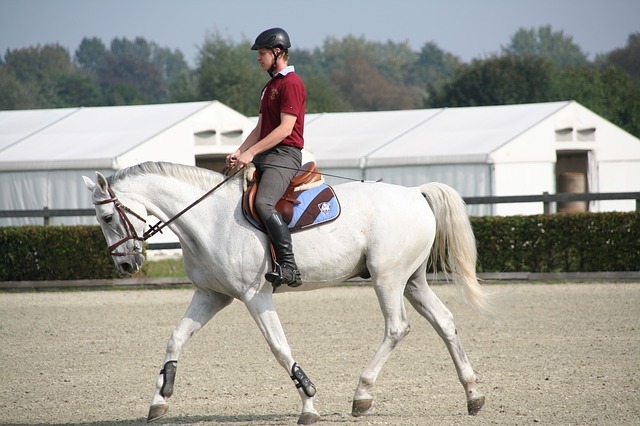 This awkward gait will put a lot of pressure and strain on the joints and muscles of your dog. Your dog will develop joint pain and discomfort while he is walking due to this posture. He will also be less steady on his feet. 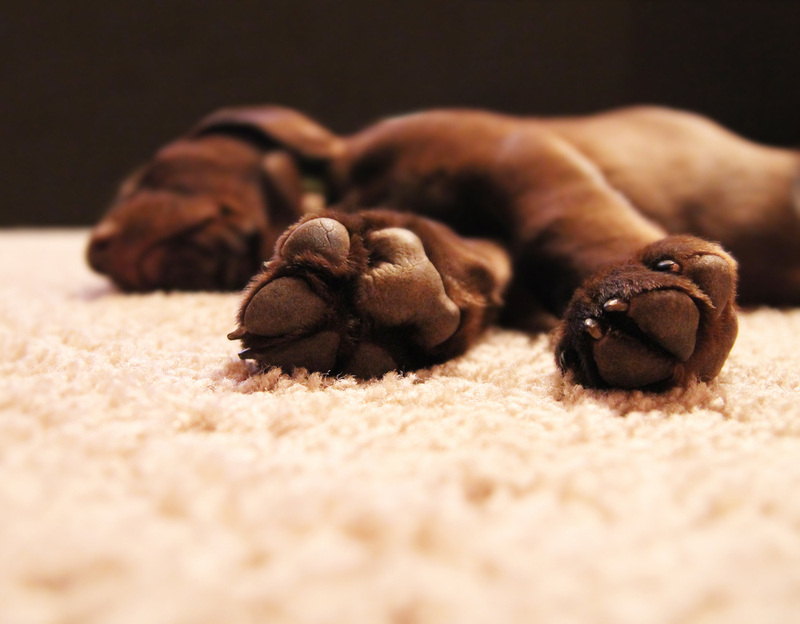 If your dog’s nails are overgrown, you can expect him to claw your carpets, either on purpose or accidentally. This is because his long nails can get caught in the carpet. He will, therefore, rip or fray your carpet as he attempts to free his stuck claws. 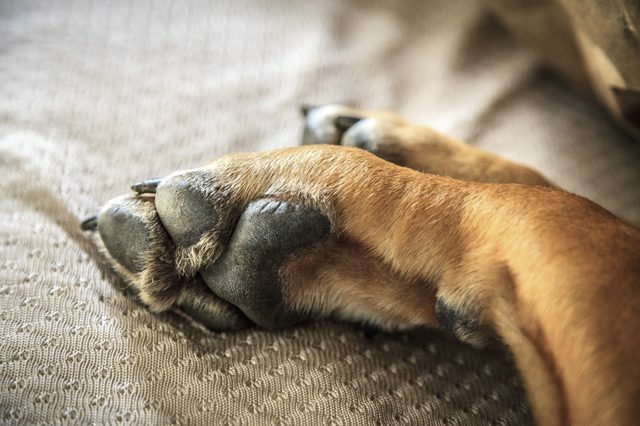 When your dog is sleeping, his claws can also rip his bedding. If he jumps on your bed, you might need to consider replacing your bedding because his long claws can leave holes in your sheets and comforter. We don’t want this carpet to get any more shaggy! When you come back from work, your dog is probably very excited to see you and, as a result, he will jump on you. If your dog has long nails, this can be quite unpleasant. His sharp nails might break your skin when he jumps up. He can also cause injuries to other people that come to your house, or accidentally hurt other pets while playing. Your dog can also cause injuries to his own skin when he scratches himself. He can easily scratch himself bloody if his nails are too long. Armed with the best dog nail clippers, clipping your dog’s nails will protect his skin, and your skin, too! Most dogs don’t like the idea of getting their nails clipped. If you have such a dog, you will probably have a hard time trying to make your dog sit still so that you can clip his nails. You will first have to get him used to nail clipping sessions. How can you achieve this? Don’t dig in your heels if your pooch is anxious and is not tolerating you clipping his nails. 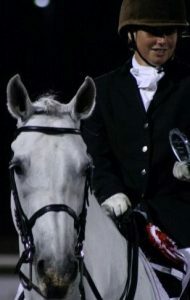 You can take a break and maybe play with him for a while before you can resume your clipping session. With time, he will get used to it. You can click here to watch this helpful video to help you train your dog to enjoy having his nails clipped. If you start young, your pup won’t mind having their nails trimmed! Care must be taken when clipping your dog’s nails. This is to avoid causing injuries on your dog’s toes. 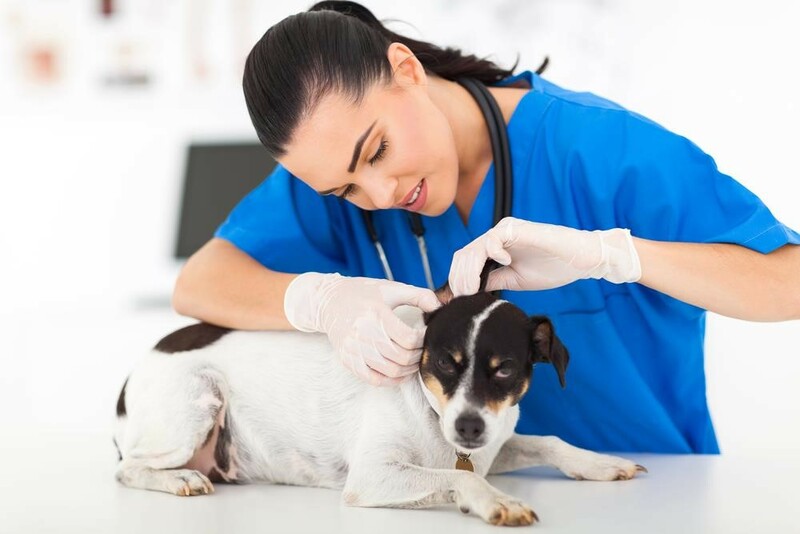 You will, therefore, need the best tips on how to clip dog nails so that the whole procedure is safe and smooth for your dog. If you hurt your dog while clipping his nails, he is likely going to be fearful of having his nails clipped. He may not cooperate the next time you need to clip his nails. 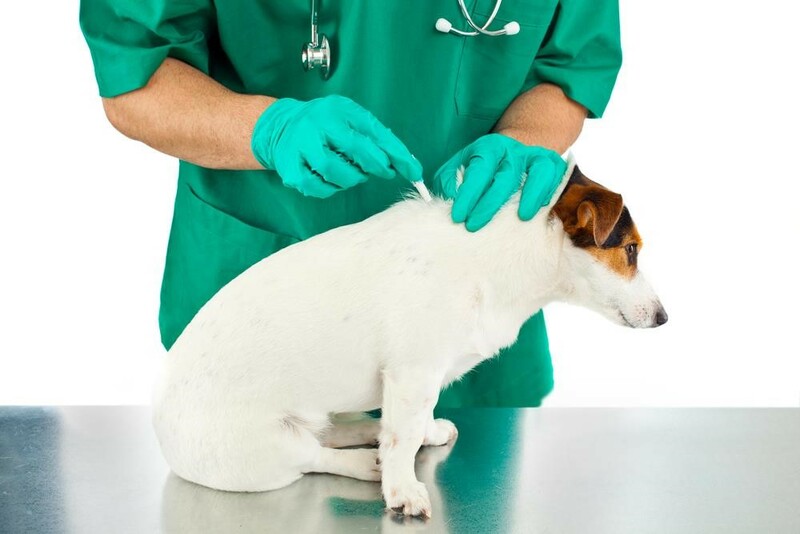 If you are not willing to clip your dog’s nails at home, you can take your dog to a veterinarian or a groomer. Your Pet Space now offers nail trims and bathing, so don’t hesitate to ask! 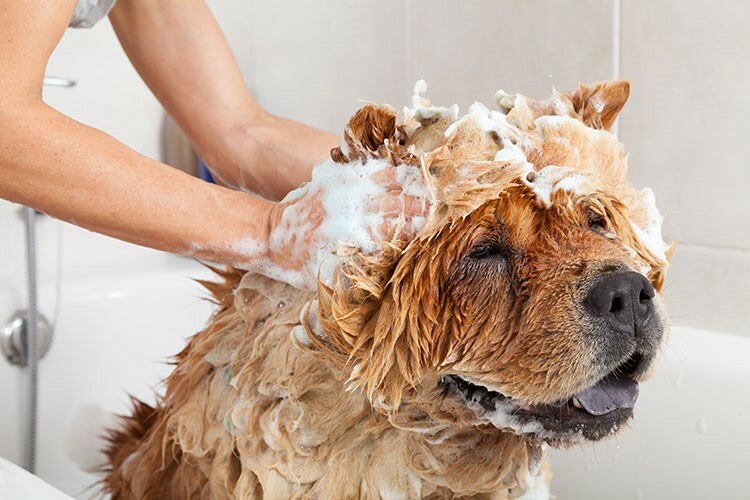 Getting your fur baby groomed on a regular basis is very important since it is beneficial to your dog’s health. One of the ways that you can groom your dog is by trimming his nails. Apart from aesthetic benefits, clipping your dog’s nails will ensure that your dog walks comfortably, and there will be no more click-click clicking when your dog is walking on hard surfaces! Your carpet, bedding, and furniture will also be safe from damages, not forgetting that it will help protect your dog’s skin, and your skin too. You should, therefore, have a nail clipper nearby to clip your dog’s nails whenever they grow long. Good luck in clipping your dog’s nails! Do you have something you wish to add on the benefits of clipping your dog’s nails? Do you have any questions? Let us know in the comment section below. 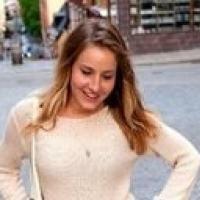 Joy Henderson: Hello everyone! I’m Joy and I really love dogs and would like to share all my knowledge fellow dog lovers like me. Please feel free to share your story with me at www.mypupmyhero.com.